- When you get into a cab, the meter should read the current flat rate of 3.20TL and the price should increase about 2TL every kilometer. - The night and day rate has been abolished so don’t let anyone tell you otherwise. - Don’t agree to any fixed prices and instead let the meter do its work. - When you want to get in a cab make sure to hail it down in the direction that you’re going. - Turkish taxicabs don’t have an indicator for when the car is full so you’ll have to see if there are any passengers before you hail it down. - Sometimes empty taxicabs will not stop for you because the driver is on his way to a shift change (or he just doesn’t feel like it). Don’t be discouraged. - Cabdrivers can sometimes be quite the reckless on the road, and if you have a problem with the speed, you can ask them to slow down. - If you have a large bill ask the driver if he has change before you go on your journey. Worst case, you can ask them to stop by a store so you can break that 100 or 200TL bill. 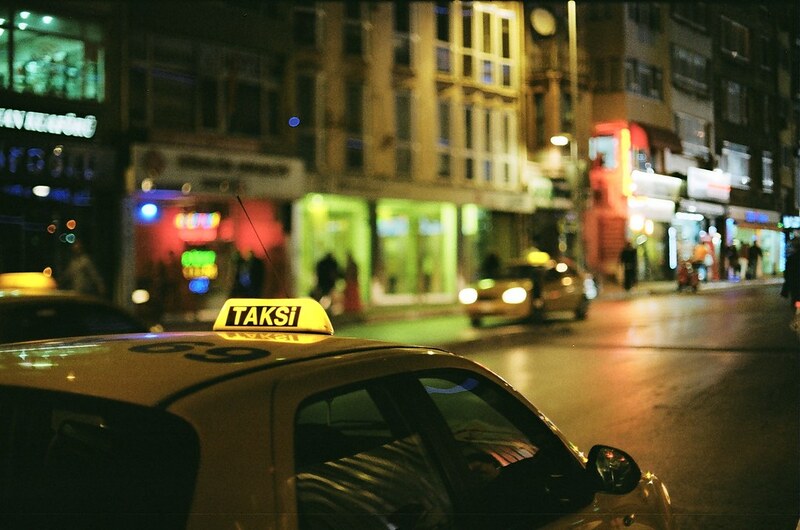 - Turkish taxis are yellow with a “Taksi” sign on top and their license plate painted on the doors. Avoid “gypsy” cabs that are of other colors (especially orange). Istanbul is full of cabs and when you need one you’ll probably be able to hail one down in a few minutes by waiting on the side of the road with you hand held up high. In order to avoid scams, try to get into cabs that belong to a “Durak,” (taxi stand) because if anything goes awry you’ll be able to report to a superior. Durak Taxis always have the name of their particular stand written on the front doors. Ideally, taxi drivers are not allowed to ask where you’re going and then refuse to take you because they’re not cool with your destination. But alas, this is Istanbul, and anything is possible. Instead of getting into an argument, call or hail a cab from a Durak, which will diminish your exposure to these lone wolves who lack manners. When there’s no cab around and you don’t have the number for a Durak, you can get technologically acquainted with this useful App. After signing up with your name and number, this mobile taxi call system scans the area for available cabs and sends one your way. A fare calculator, GPS tracking, cab rating, and a credit card payment option sweeten the deal. Plus if you forget something in the car you can go back into your history and track down the cab’s license number. This is one of the most useful Istanbul apps and you can decide whether it’s better to take a cab or public transportation (metro/metrobus/ferry) in order to avoid the burgeoning traffic. İBB Ceptrafik shows a map of the entire city with areas marked in red that are heavy with traffic. Take a peek before you decide to go anywhere so you don’t end up sitting in a stop-and-go situation. 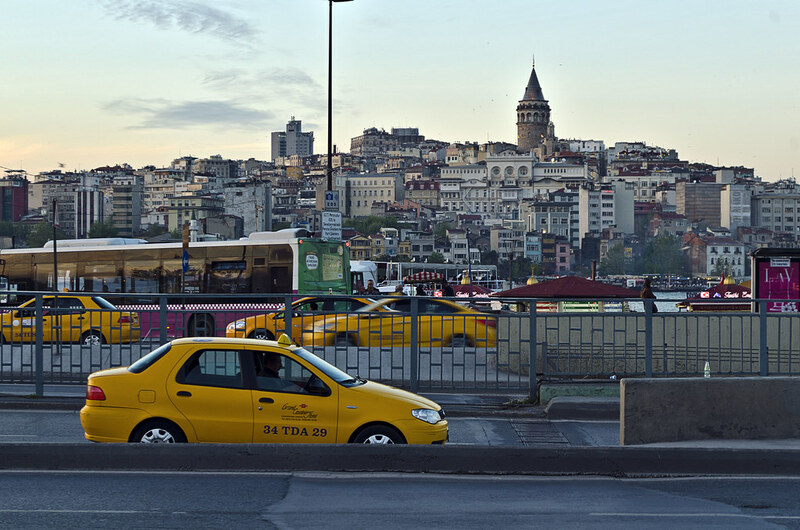 Unlike other metropolises, you don’t have to tip Turkish taxi drivers. So don’t feel bad when they scrounge around for coins to give you your exact change. Sometimes when things get out of hand you’ll see Turkish people waving a fist in the air exclaiming, “I’m going to report you to the Beyaz Masa.” This White Table (direct translation) is the government’s hotline for any complaints about any form of public transportation (including cabs). Honest cab drivers always encourage citizens to note down the license plates of illegal drivers or those rude dudes who refuse to take you where you want to go. You can contact Beyaz Masa via sms (1530), phone (Alo153), or fill out the online form. This article originally posted on Circle Istanbul, then re-published on Atdaa with author's permission.